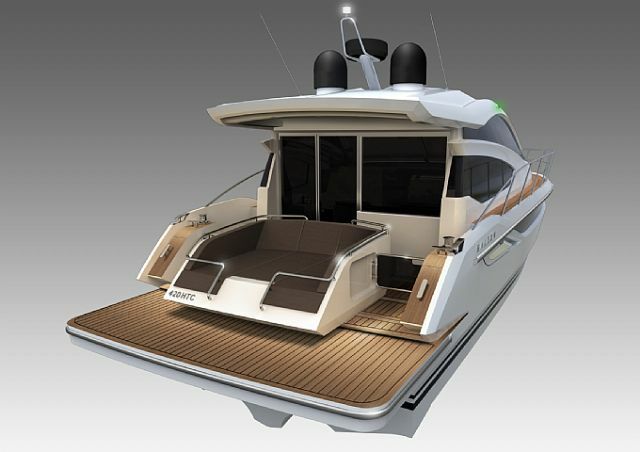 Polish boat builder Galeon has kindly given World Sports Boats the first exclusive pictures of their eagerly awaited Galeon 420 HTC. The world premier of this project is in 2 weeks time with the first off the production line hitting the water in the early part of 2012. 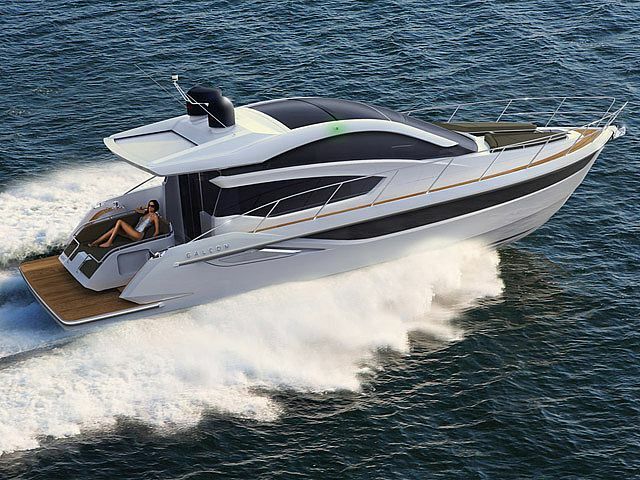 The 420 Hard Top Coupe has fresh futuristic styling done by Tony Castro and shares its hull with the 400 Fly that was launch this year. The Galeon 420 HTC is packed with clever innovation their is a sliding aft deck settee that can convert from sun-pad to a dinette and the hard top also extends completely aft with a convertible panel first seen on the Raptor 700. 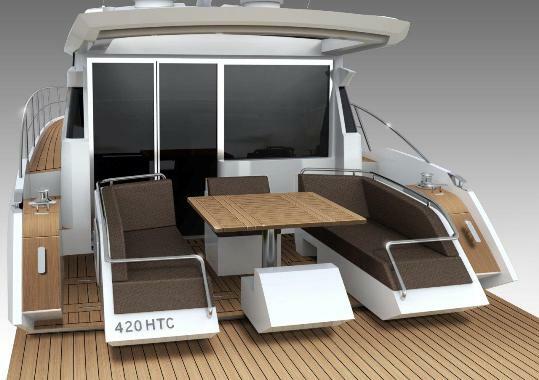 The 420 HTC also follows latest design charateristics from the range with a split level saloon on the main deck, on entrance a C-shaped sofa and opposite settee are the focal points followed with a raised galley area and the helm station to starboard. Natural light through a glass hard top provides the living area with a much larger sense of space than many sports cruisers of similar size. 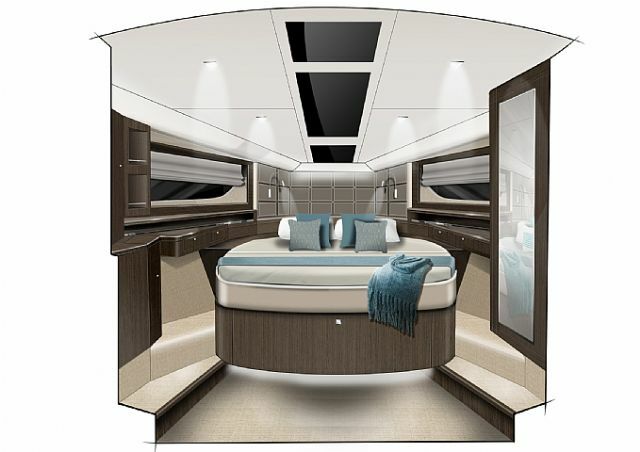 The Galeon 420 has a conventional 3 cabin layout with 2 heads, the owners suite being in the bow of the cruiser, however there is also a 2 cabin layout for those who would like a larger accommodation type for less guests. 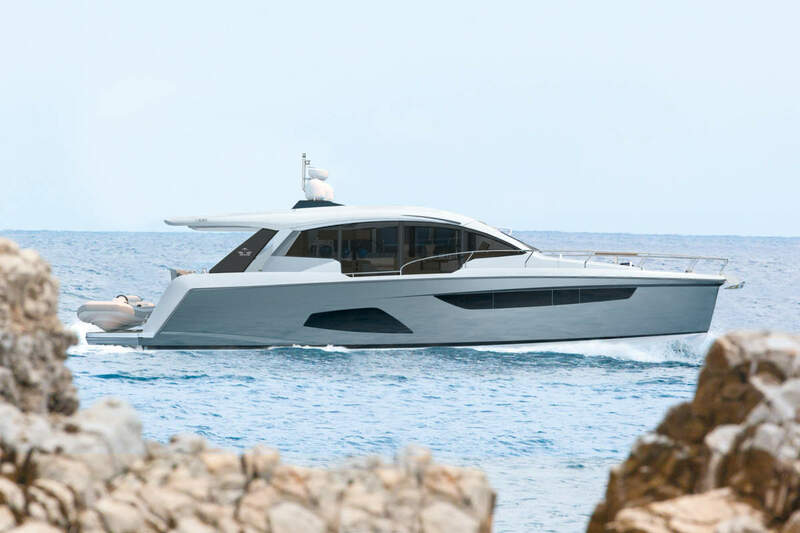 The 420 will be powered by twin engines ranging from 220 up to 435hp coupled to a selection of different propulsion systems that could be stern drives, pods, or shaft line, whatever the choice expect the Galeon 420HTC to comfortably reach speeds from 20 knots and upwards.